Jennifer Zetlan, a recent Juilliard graduate, is making her Seattle Opera debut as the Flier in Amelia. 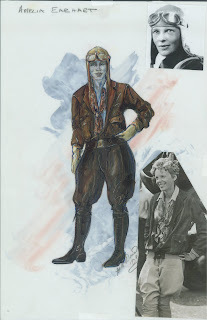 This character, based on Amelia’s namesake, Amelia Earhart, is a figment of the opera heroine’s imagination. As she’s working to create her character, Zetlan keeps a photo of the famous aviatrix close by for inspiration. The image, which Zetlan has taped to the back of her Amelia score, is a photo of Earhart in her plane cockpit in December 1930, donning her classic aviator cap, goggles, and leather jacket. This opening scene is one of Zetlan’s favorite parts. 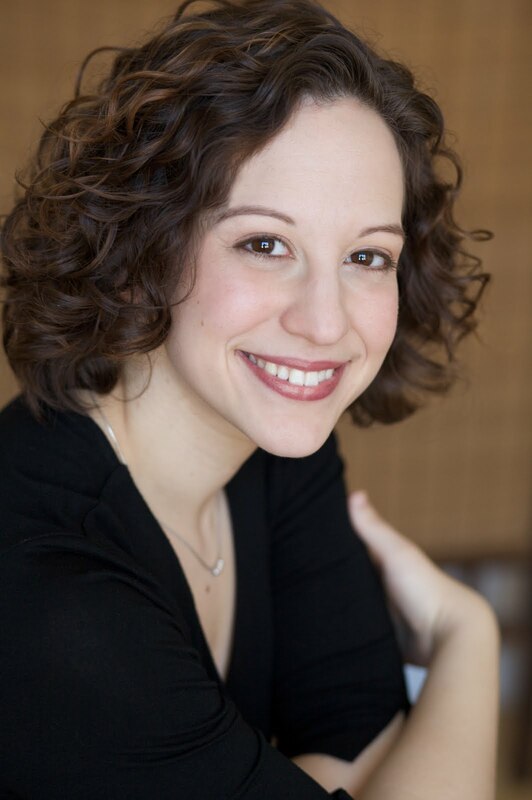 The haunting words—“There’s the moment of realizations where I sing, ‘Soon, the shudder/And the hush of the sea’”—are paired with equally stunning music, a descending scale that starts at a high A and moves from fortissimo to piano. “I get chills all over,” she says. 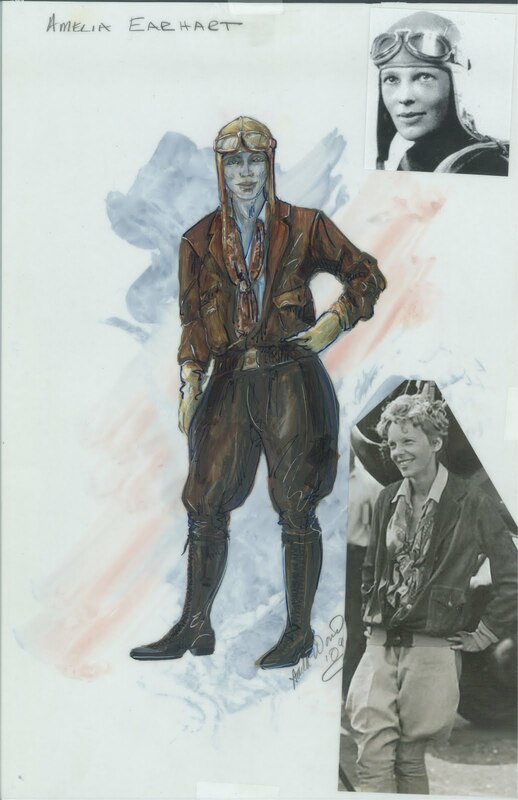 Photos: Jennifer Zetlan; Ann Hould-Ward's costume design sketch for the Flier.